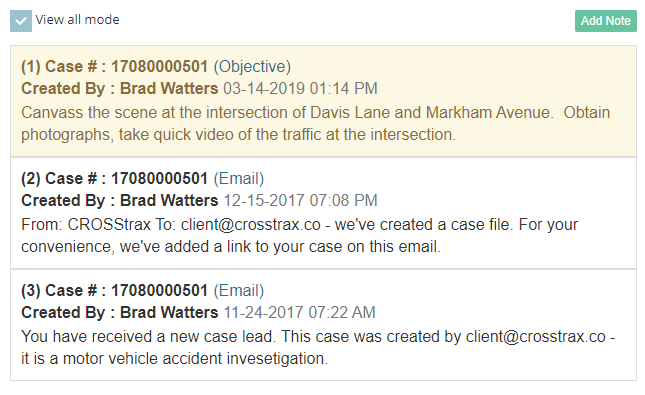 Easily input and track case related time and expenses through CROSStrax. When it comes time to bill, choose the time and expenses and generate an invoice with a click of a mouse! Domestics can get tricky and involve multiple parties such as spouses, girlfriends, boyfriends, parents, witnesses and more. Enter crucial data for each subject on a case. Create custom fields for different case types. Take an infidelity case, for example, setup the fields for that type of case and create additional fields if needed. 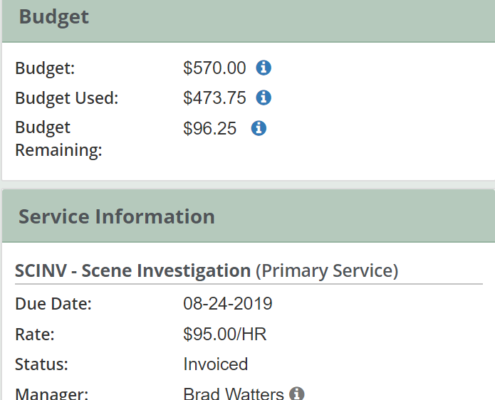 Enter critical investigation data, create tasks and document investigative activity. The system makes preparing for court related events a breeze. We Make it Easy to Manage their Expectations. We’ve all been there. A client who’s difficult to manage – not because they like to be complicated, but because they’ve never worked with a private investigator in the past. Midnight calls to get an update. Late night emails with “new developments” or morning text messages to get advice. Even the best of project managers will lose track of the conversation. CROSStrax keeps the conversation in one place. Update a client and give them peace of mind they are looking for. Quickly provide updates, advise them of new developments, create invoices and satisfy the most challenging client.